Good Morning PTT readers! We have had some nice weather peaking between the clouds lately and it's getting me in the mood for spring! 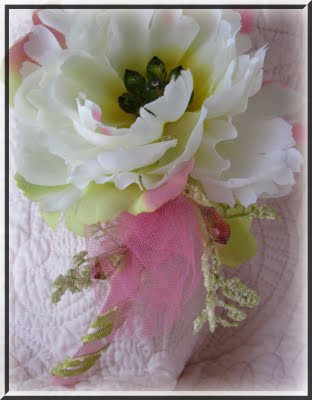 I, L. Grace Lauer, wanted to share with you all this darling headband I made a few years back for my lovely daughter to wear on Easter. Stop on over and see the blog post about it on my blog Uniquely Grace. Than you so much for taking the time to view the Party Time Tuesday Blog daily for "Your Daily Dose" of inspiration. I am honored to be a part of it.